Join us for more than 100 learning opportunities on topics such as DevOps, security, governance and compliance, digital transformation, scientific research and computing, new app models, and more. Dive into AWS solutions in multiple formats, including services intros, new service deep dives, and tech talks. Teresa Carlson is the founder and leader of Amazon Web Services (AWS) Worldwide Public Sector, and one of the most accomplished and forwarding-thinking technology leaders in the world today. 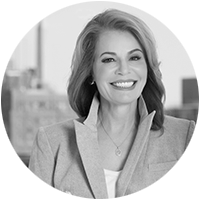 Through her charismatic leadership, Carlson has helped change mindsets of both individuals and organizations around the world, modernize policies at all levels of government, and cultivate a 21st century global workforce equipped with the skillset necessary to leverage the full potential of cloud to drive innovation. Carlson founded the AWS Worldwide Public Sector in 2010, and since then has driven the business' growth. Today, tens of thousands of government agencies, education institutions and nonprofit organizations around the world use AWS. Additionally, Carlson advises Amazon Public Policy on global policy issues. Prior to joining AWS, Carlson served as Vice President of Microsoft Federal Government, where she oversaw the company's US Federal Government business. 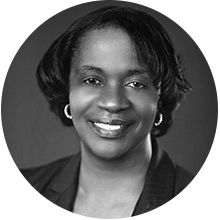 Pamela Dyson was named the Securities and Exchange Commission’s Chief Information Officer in February 2015. Ms. Dyson has held key positions in the Office of Information Technology (OIT) since she came to the Commission in 2010, including Acting CIO and Deputy CIO. As Deputy CIO, Ms. Dyson played a leading role in enhancing the SEC’s technological capabilities and modernizing key service delivery platforms and business applications. Ms. Dyson began her SEC career as Assistant Director for Enterprise Operations. Before joining the SEC staff, she was the Deputy CIO for the U.S. International Trade Commission. Ms. Dyson received her bachelor’s degree from the University of Maryland in College Park. 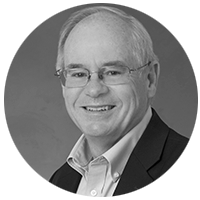 Mr. Soderstrom has led remote teams championing large-scale IT best practices, tools development, and change efforts in small startups, large commercial companies, international venues, and the U.S. government arena. Mr. Soderstrom is currently working on defining and actively surfing the next technology waves that will significantly impact our future. He is consulting with researchers, startups, industry, and government leaders on how to quickly benefit from key disrupters, including new organizational structures and technology. These span building innovation labs to benefit from artificial intelligence, intelligent digital assistants, Internet of Things, natural user interfaces, advanced analytics, smart data, crowd sourcing, mixed reality, working from anywhere, Cloud 4.0, agile, and DevOps. In other words: how we will work in the future. Robert Meyerson has overseen the steady growth of Blue Origin since 2003, evolving a 10-person research-focused organization into the more than 1,000-person organization of today. Under Rob’s leadership, Blue Origin developed the New Shepard system for suborbital human and research flights, the BE-3 LOX/LH2 rocket engine, the BE-4 LOX/LNG rocket engine, as well as the manufacturing and test capabilities to enable all the above. 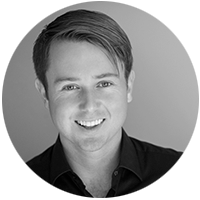 As the leader of Blue’s Advanced Development Programs business, Rob oversees the development of the systems and technologies that will enable a future where millions of people are living and working in space. Prior to joining Blue, Mr. Meyerson was a Senior Manager at Kistler Aerospace, responsible for the landing and thermal protection systems of a two-stage reusable launch vehicle, as well as all technical activities related to Kistler’s Space Launch Initiative contract with NASA’s Marshall Space Flight Center. Mr. Meyerson began his career at NASA’s Johnson Space Center (JSC), where he led the aerodynamic design of the Space Shuttle Orbiter Drag Parachute, as well as the overall design, integration, and flight test of a gliding parachute for the X-38 Crew Rescue Vehicle. He began his career as a cooperative education student at JSC. Mr. Meyerson earned a B.S. in aerospace engineering from the University of Michigan and a master's degree in engineering management from the University of Houston. He is an AIAA Associate Fellow and former member of the Aerodynamic Decelerator Systems Technical Committee. He is a Trustee at the Museum of Flight in Seattle, a member of the board of the Commercial Spaceflight Federation, and is an avid supporter of the University of Michigan and the University of Washington. During his five-year battle with a then-terminal cancer diagnosis, Taylor Carol witnessed the immense impact that video games and entertainment technology had on patients’ lives. Inspired, he resolved to build a nonprofit committed to leveraging gaming, technology, and innovation to empower patients to play, learn, and socialize. Despite missing nearly five years of school, Mr. Carol, now a 23-year old Harvard Graduate, has taken GameChanger Charity from a garage hobby to an international endeavor. It now partners with the largest tech companies on earth, like Amazon, to support over 20,000 children in 100 hospitals around the world. Witnessing the desperate need for these services, Mr. Carol and the GameChanger team created “businesses around the charity,” to both promote the GameChanger vision into the for-profit space and to ensure that GameChanger Charity always had the means to support its patient populations. In recent years, the GameChanger team has created ZOTT: A for-profit subsidiary owned in majority by GameChanger Charity. ZOTT is a cloud-based content distribution platform designed to revolutionize hospitals’ patient engagement systems. Both the ZOTT and GameChanger Charity teams are thrilled to reimagine the ways in which the for-profit and nonprofit sectors can harness technology to change patients’ lives forever. 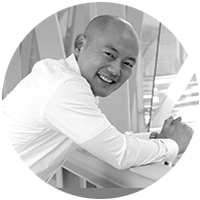 Dr. Swaine Chen is a Senior Research Scientist in Infectious Diseases at Genome Institute Scientist and an Assistant Professor of Medicine at the National University of Singapore. Dr. Chen's work combines his training in medicine, biology, chemistry, and mathematics to understand how and why bacteria are able to cause infections in humans. This understanding, in turn, may enable us to detect and treat infectious diseases more effectively and more quickly in the future. Another major aspect of Dr. Chen's work is using DNA sequencing to detect and understand outbreaks of infectious diseases, especially those that are unexpected, like the Group B Streptococcus outbreak associated with yu sheng fish in 2015 in Singapore. Dr. Swaine Chen is a Senior Research Scientist in Infectious Diseases at Genome Institute Singapore and an Assistant Professor of Medicine at the National University of Singapore. Dr. Chen's work combines his training in medicine, biology, chemistry, and mathematics to understand how and why bacteria are able to cause infections in humans. This understanding, in turn, may enable us to detect and treat infectious diseases more effectively and more quickly in the future. Another major aspect of Dr. Chen's work is using DNA sequencing to detect and understand outbreaks of infectious diseases, especially those that are unexpected, like the Group B Streptococcus outbreak associated with yu sheng fish in 2015 in Singapore. 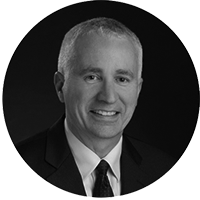 Sean P. Roche is a senior government executive with more than 37 years of federal service. 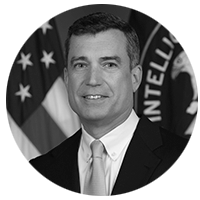 In March 2015, he was named Associate Deputy Director of CIA for Digital Innovation serving as the second-in-command of CIA’s first new directorate in more than 50 years. The Directorate of Digital Innovation (DDI) is responsible for cyber intelligence, open source collection, secure global communications, worldwide mission information systems, data curation, and data science. The DDI also accelerates the integration of advanced digital capability across all of CIA’s mission areas. Immediately prior to this position, Mr. Roche served as the Associate Deputy Director of CIA for Science and Technology. Over the course of his career, Mr. Roche has held various senior leadership positions across a wide range of missions, disciplines, and tradecraft, ranging from research and development to clandestine operations. Within the Directorate of Science and Technology, Mr. Roche served in senior leadership roles in the Offices of Development and Engineering, Technical Collections, Global Access, Integrated Missions, and Mission Resources. Mr. Roche led teams that developed, delivered and deployed satellite and airborne reconnaissance systems, next generation collection platforms, clandestine collection operations, and advanced targeting tradecraft. In addition to his assignments at CIA, Mr. Roche has also served in positions across the Intelligence Community and the Department of Defense. He is a recipient of the Distinguished and Meritorious Presidential Rank Awards, the CIA Director’s Award, the Directorate of Operations Donovan Award, and other Intelligence Community and CIA Meritorious Unit Citations. He became a member of the Senior Intelligence Service in June 2001. The AWS big data and analytics portfolio is comprised of services that are inherently built to run @scale. Learn how to build a data lake in AWS to solve real-world enterprise problems. Amazon Athena, Amazon Redshift Spectrum, Spectrum, Amazon EMR, Amazon Elasticsearch Service, Amazon Kinesis, Amazon QuickSight, AWS Glue, and AWS Lambda comprise the core elements for building data lakes in AWS. We will review how AWS Identity and Access Management provides end-to-end security as well as how data lakes allow organizations to derive valuable insights by maximizing their data. There is an explosion of new and promising technologies that could help solve our enterprises’ problems. These include advances in Cloud Computing, Internet of Things, Augmented Reality, Intelligent Digital Assistants, Artificial Intelligence and in working differently. Learn how JPL -- an 80-year old startup -- is rapidly experimenting with all these technologies to address the challenges of Space exploration. You may find that the lessons learned apply to your own enterprise. This session provides an overview of how FINRA practices secure development and deployment on AWS using solutions built around AWS. We will review how FINRA incorporates security into the delivery stream and the tools they leverage to achieve their security and compliance goals. This session will showcase how encrypted Amazon Machine Images are deployed across multiple accounts/virtual private clouds, how security groups are architected and managed for multiple environments, and proprietary data is managed at an enterprise scale. The session includes a technical walkthrough of the implementation as well as live demo. A sustainable research platform helps bring data, analytics, funding, and skills together easily. When these elements are in place, research communities can reduce time to science. In this session, our speakers will share how they are leveraging cloud to develop internal and external communities to support secure data sharing, analytics evolution, and skills development. Topics include: approaches for workforce development, secure platforms for research and innovation, creating a marketplace for data science for social good as well as AWS programs to support research. Learn about how Amazon enables its developers to rapidly release and iterate software, while maintaining industry leading standards on security, reliability and performance. In this talk, we will discuss the culture of two pizza teams and how to maintain a culture of DevOps in a large enterprise. Customers often ask us how they can innovate like Amazon. From its humble beginnings as a startup in a garage, Amazon has not only innovated across e-commerce, but also introduced new businesses that seem unrelated to e-commerce. Over the years Amazon has gotten very good at taking hard problems and finding an easier way. AWS is a great example of that. We have taken something so central and specialized as operating a data center and pushed to the edges as a utility. When technology becomes a utility, it becomes ubiquitous, and more people can participate in innovation. This talk will discuss how Amazon organizes for innovation with its mechanisms, architecture, culture, and organization. We will share our thoughts on our approach to innovation and demonstrate how some of these factors can help other organizations. Our customer will be sharing how this approach has helped them and their organizational change. Examine governance and compliance designs aimed at helping organizations meet HIPAA and HITRUST standards. Learn how to better validate and document your compliance, expedite access to AWS compliance accelerators, and discover new ways to use AWS native features to monitor and control your accounts. This session is for a technical audience seeking to dive deep into the AWS service offerings, console, and API. The Federal Information Security Management Act (FISMA) is United States legislation that defines a comprehensive framework to protect government information, operations and assets against natural or man-made threats. Sound architecture, security design and data protection are paramount to achieve and sustain FISMA High compliance. Join us to learn how the Department of Homeland Security migrated the Homeland Security Information Network (HSIN) from on-premise to production with a FedRAMP High ATO in AWS GovCloud. Educational and government institutions are incorporating voice services powered by Amazon Alexa in order to increase student and employee engagement. Already transforming the home, Alexa is now improving learning and productivity at school and at work. And with Alexa for Business, schools and government agencies can now build and deploy unique private skills while provisioning, deploying, and managing Alexa devices at scale. By leveraging the power of Alexa and the management capabilities of Alexa for Business, n-Powered’s Voice First platform is revolutionizing student life at Northeastern University. n-Powered is connecting the University’s disparate systems of record and giving students the power to easily query the status of their financial aid package, hear the hours of the cafeteria, check their GPA, or learn what events are happening on campus each week, all by invoking the Husky Helper skill enabled on an Echo Dot in their dorm room. Northeastern professors can use Alexa to share information with students about upcoming classes and assignments and can even have Alexa act as a teaching assistant, offering students additional learning opportunities outside of the lecture hall. n-Powered is providing the students, faculty, and staff with a personalized experience and way to connect with their community, and Alexa for Business makes managing thousands of Echo devices at scale a simple and cost effective way for Northeastern to increase engagement with their 15,000 students. This technical session will explore how n-Powered leveraged the Alexa Skills Kit and Alexa for Business APIs to build a platform that offers students, faculty, and staff a voice experience tailored for their preferences. n-Powered will demonstrate how they designed their platform’s APIs to connect to common university systems of record to pull data into an AWS data lake at chosen, customizable intervals. These data sets are then normalized through n-Powered’s proprietary technology to enable Alexa Skills to surface information to students, faculty, and staff, whenever they query Alexa, all powered by Echo devices managed by Alexa for Business. Software release cycles are now measured in days instead of months. Cutting-edge companies are continuously delivering high-quality software at a fast pace. In this session, we will cover how you begin your DevOps journey by sharing best practices and tools by the "two pizza" engineering teams at Amazon. We will showcase how you can accelerate developer productivity by implementing continuous integration and delivery workflows. We will also cover an introduction to AWS CodeCommit, AWS CodeBuild, AWS CodePipeline, and AWS CodeDeploy, the services inspired by Amazon's internal developer tools and DevOps practice. CI/CD for a Docker Node.JS application using Code* services. This session will walkthrough what a solution like this would look like, what Code* services are used, how your build will work, and how deploys will work. The purpose of this session is to allow customers to see how to deploy their containerized applications in Amazon Elastic Container Service (ECS) Fargate using our CI/CD solutions. Come with your questions and pain points. We will also talk about how to use Bitbucket as your source control rather than Code Commit for the many customers already using BitBucket and Jenkins. The cloud can enable groups to support humanitarian and disaster response partners through all phases of the response cycle. We'll hear from the Humanitarian OpenStreetMap Team about how they are using AWS along with open-source tools to deploy a fully scalable system that can meet the needs of emergency activations and crisis response situations. We'll also take a look at a prototype for monitoring and starting a response chain based on the USGS Earthquake Notification Service. Founded to address autism, Brain Power has evolved to offer tools and services for an expanding array of brain-related challenges. The company creates wearable artificial-intelligence systems to aid people with brain-related challenges. CEO and founder, Dr. Ned T. Sahin, is a distinguished neuroscientist and entrepreneur. Dr. Sahin will share with us how Brain Power, working with AWS Professional Services, is applying the latest AWS AI services to rapidly accelerate their mission in new and exciting ways. By understanding the costs associated with existing application workloads or new ones, AWS Cloud Economics Team is helping our large customers with development of the foundations of a sound business case. Once the foundations have been built, we assure our customers pay for what they need when using AWS vs. paying for what they use. AWS cost optimization techniques enhances their capabilities to effectively manage their cost and increase ROI. Process and provide risk based analytics such as Suitability, Anti money laundering, Unauthorized Trading, by parsing Trade blotters obtained as a part of FINRA’s annual exams on many of the largest brokerages in the nation. Highly responsive, intuitive, interactive user interface which can handle hundreds of millions of rows of data. AWS services include: EMR, Data lake on S3/DynamoDB, EC2, RDS PostgreSQL, Apache Kylin for analytics.